Have found yourself wondering if the gig/freelance economy could be for you or how it’s impacting business owners and professionals around the world? 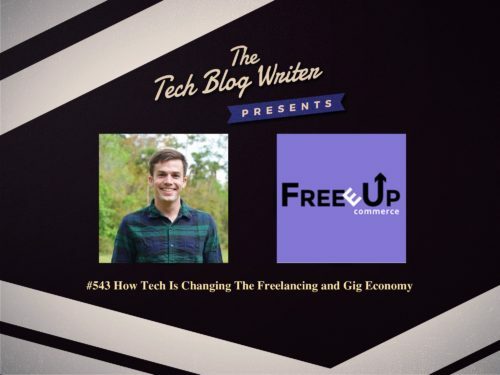 I wanted to delve into the facts and figures behind the freelancing and gig economy so I invited Connor Gillivan from a company called Freeeup onto the show today to report on what he is seeing on the digital landscape. The FreeeUp Marketplace connects businesses with the top 1% of freelancer applicants in eCommerce, digital marketing, and web development. Connor also shares his inspirational entrepreneurial story. As an Amazon seller veteran, eCommerce expert, and outsourcing guru, he is also about building profitable businesses that address specific customer needs within the eCommerce world. There are various webshop designers out there who can create fantastic eCommerce websites for your business, but you need to be able to create the type of business that is going to succeed in the eCommerce sector. Starting out of his college dorm room, he spent 4 years working with his business partners to build an eCommerce business selling on Amazon.com. With the venture, he sold over $25 million online, worked with over 1,000 suppliers, and have managed over 500,000 products. That would have required some fairly impressive order management software! After hiring and firing hundreds of remote freelancers and virtual assistants with his Amazon venture, he and his business partner started FreeeUp.com to address the frustrations we were facing on other marketplaces like Upwork, Fiverr, and Freelancer: (1) too much time interviewing and vetting freelancers and (2) too much turnover. FreeeUp receives hundreds of applications from freelancers each week, interviews them for skills, communication, and attitude, then only allows the top 1% of Freelancers in eCommerce, Virtual Assistance, Digital Marketing, and Web Development into the network. Those freelancers then make their services available from $5 to $75 per hour. I wanted to find out more about the industry and how after interviewing and hiring hundreds of remote freelancers with their first eCommerce company, they also saw the power of online freelancers along with the impact that they could make on the growth of a business. Connor shares his experiences and frustrations of making bad hires, freelancers disappearing, and long interview processes. He also reveals why they built FreeeUp to make hiring remote freelancers easy and enjoyable for other online business owners.